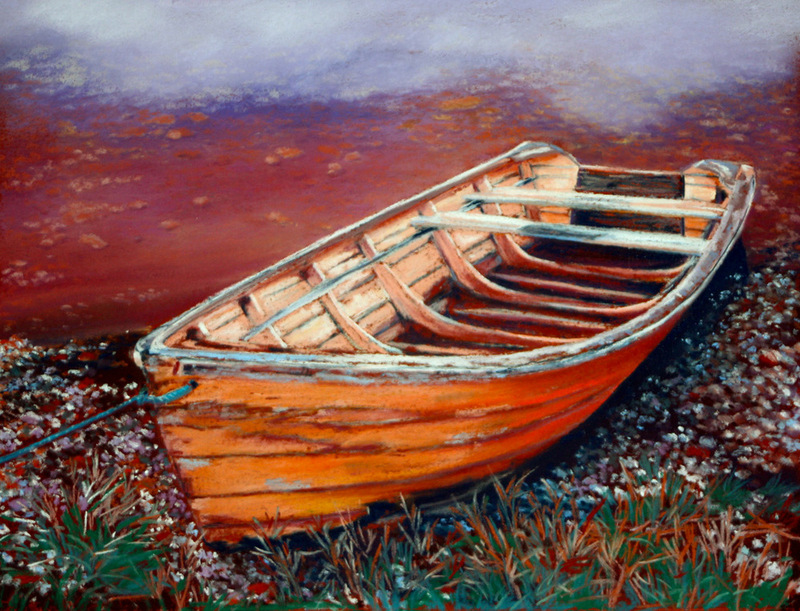 I chose this boat because it was tied with this great aqua colored line, but after I started working on the painting, I decided to emphasize the purple/maroon tints I kept seeing and now I think I really chose this piece for the underlying colors, but I still like the title. Can't beat a wooden boat for texture and this one was a great shade of orange on top of that. I kept the background kind of loose and all the stones are just dabs of color that I hope are representational enough. Cheers!